than a very tight thing." the start of something great." we narrowly avoided two lorries..."
Christopher Eccleston has been cast as the Doctor in the new Doctor Who TV Series, due to air in 2005. Combined with the previously announced writer/producer Russell T. Davies, we can expect a much darker, deeper and dramatic Saturday evening hiding behind the sofa. This is a very strong casting, one that may well upset people who like a multi-faceted Doctor. 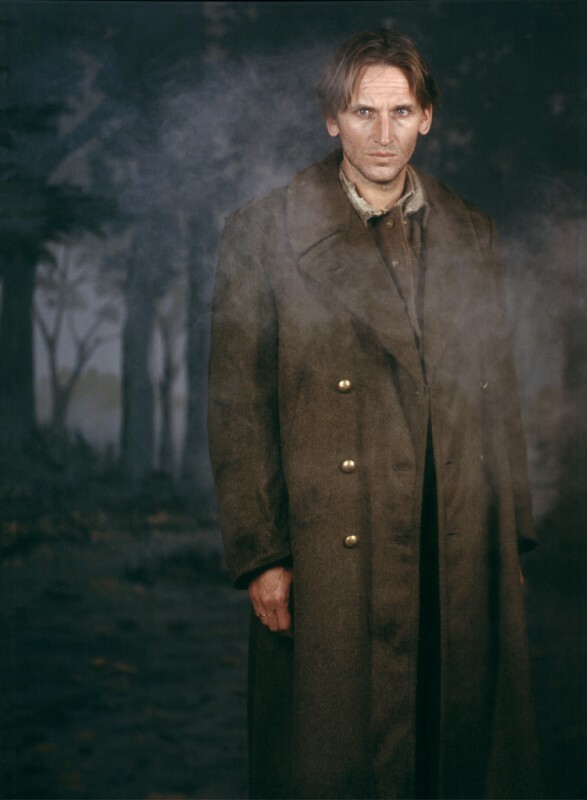 However if you want a tortured soul, and someone to drag the emotion from the pit of your stomach, Christopher Eccleston is probably able to deliver. The Doctor is coming back, and this time it's serious. I just metup with Gary Russell (producer, director, author and lovely chap). It's wonderful to see such a passionate, intelligent man in his element. We managed to talk at length about the various outpourings of Big Finish over the last five years, as well as reminiscences of the Audio Visual days. I've taped about 90 mins of interview, which I'll try and transcribe at some point. on January 27th at 2pm at the Duke of York's Theatre, St Martins Lane, London. The cast includes Anthony Keetch, Louise Falkner, Lucy-Anne Holmes, Jacob Howe-Douglas & Sarah Mowat (Susan Mendes/Dalek Empire). We will kindly be joined by Philip Bird of the main cast. Looks like Nick Briggs is going to make a third series of Dalek plays, after the success of Dalek Empire and Dalek War. These stories have been amongst the best stuff Big Finish has produced to date. Not sure if Nick will write all six episodes this time, but even if he hands some of the task to Rob Sheaman, we should be in good hands. I have added lots of original comic strips like this one: click here for more. Doctor Who Magazine is including a free promotional CD in issue 300 from Big Finish, this has a new version of the AV story Vilgreth, with Sylvester McCoy as the Doctor. Also included is episode one of Storm Warning, the new Paul McGann audio, in readiness for the new stories. Big Finish have released the new version of The Mutant Phase with Peter Davison and Sarah Sutton (Nyssa). Order it now and let us know what you think of it, especially how it compares to the original. I have updated the site, very slightly, by adding audio clips for Destructor Contract and Trilexia Threat. The new Bernice Summerfield adventure The Secret of Cassandra is out now. check out BBV & Big Finish Productions. and the 5 pisces spinoff plays.